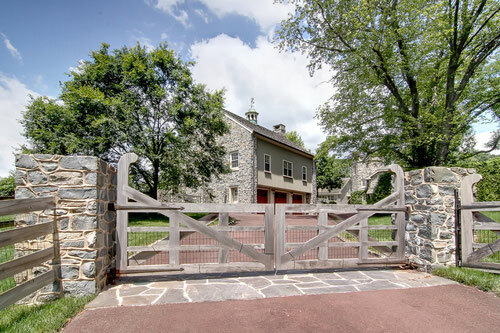 Albermarle's fabulous all-stone Barn was completely rebuilt in the identical location to the original barn, and was designed to complement the older structures on the property. Great attention was lavished on the stonework of the Barn, as well as to the old-style architectural features and all materials and finishes. 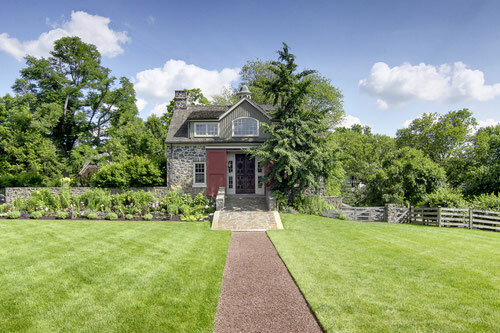 Click on the links at the left to explore the internal spaces within the Stone Barn -- the Great Room, Second Level and Lower Level.